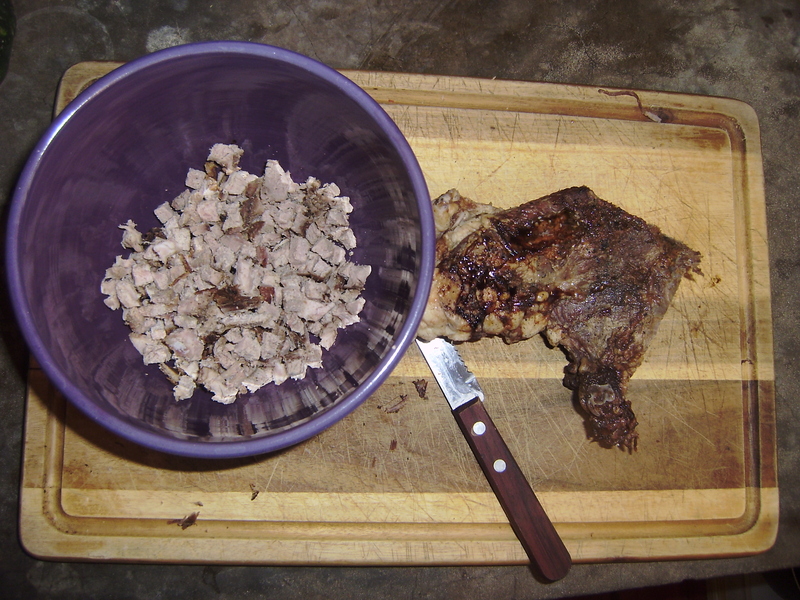 What do you do with leftover meat after an asado? There is only one answer: make empanadas! 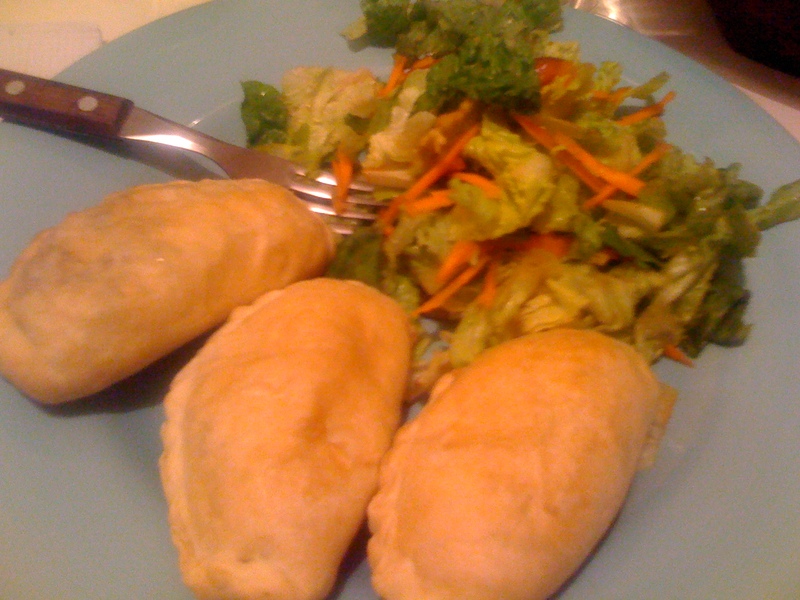 I had never made meat empanadas before, but had tried this traditional type of meat empanadas and loved them! So of course, I had to try to make my own. Slice up steak into small chunks. In Spanish, this style is called carne a cuchillo, roughly translated – mincemeat. 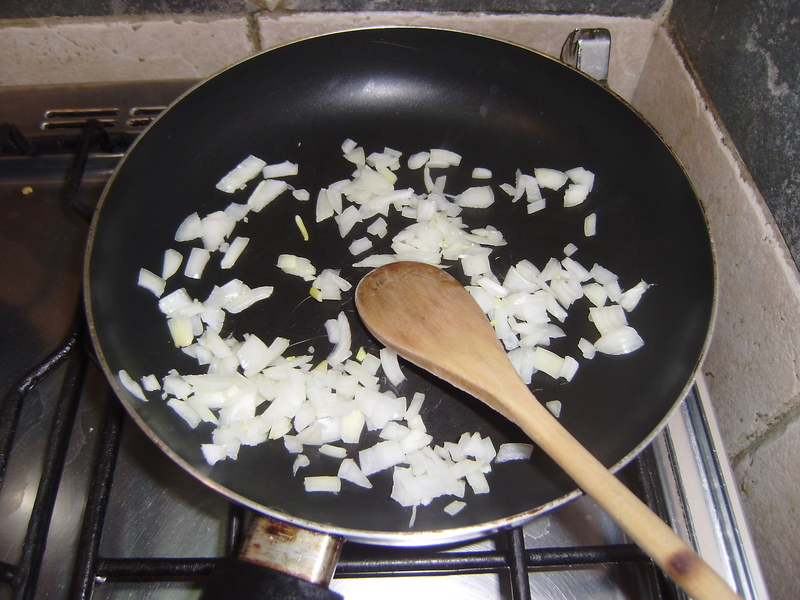 In a frying pan, saute the onions until they are soft and golden. Then add the meat and zapallo and a little olive oil. 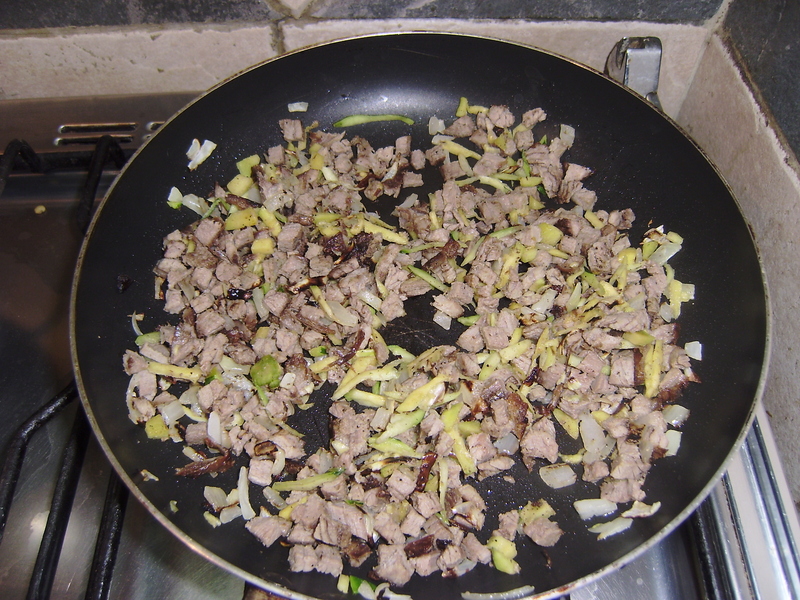 Saute until the zapallo is very soft. Mix well. To the meat mixture, add your chopped egg, olives and raisins, with lots of cumin powder and some salt and pepper. 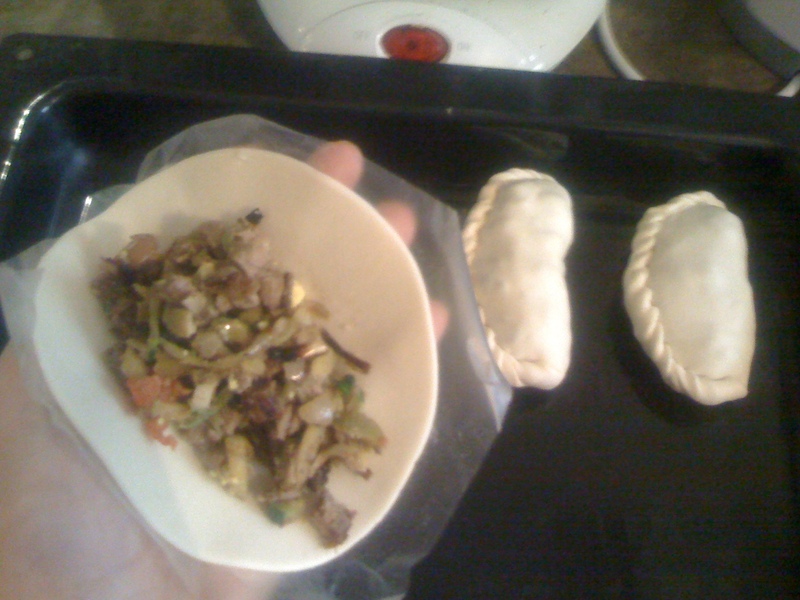 Now it is time to fill the empanadas! 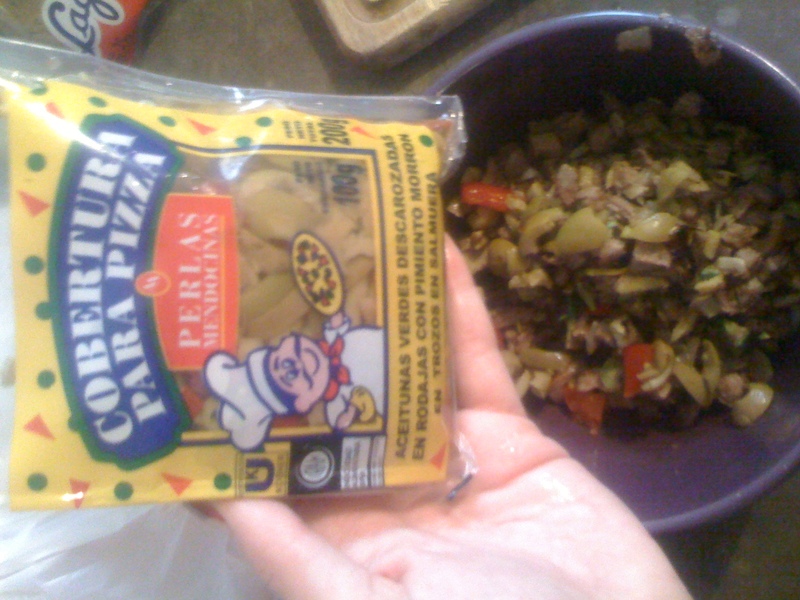 Holding the dough in your hand, fill with your meat mixture as if you were filling a taco. Then seal the edges of the empanada together by pressing them with your fingers, or twisting them to form a prettier edge. Bake in the oven on medium heat until the dough is golden brown and a little crispy. Serve with salad and enjoy! When working with leftovers, I just use what I have. I don’t own a measuring cup. Measurements are in a different system, so even if I did have a measuring cup, I wouldn’t know how to read it. Same goes with temperatures. I think cooking is an art, not a science, so I like to get creative. Measuring ingredients doesn’t feel creative to me. I believe that anyone with basic cooking skills should be able to follow the recipe, and can measure ingredients to taste. No, no, no. You don’t cut the meat with cuchillo. You ask the carnicero in the supermarket to “picar la carne a máquina”. It gets better flavor, is easier to chew and better digested. He may offer lower quality meat “picada común”, or a slight better “picada especial” (no grease), but the better empanadas (o “pastel de carne” or “tartas”) are made of the cut you most love “picado”. By the way, you need to stalk and blackmail your argentine friends into making “Bagna Cauda” for you. It’s the king of fondues. Menace to kill them if they don’t make a bagna cauda for you. Use a gun if necessary. well, I dont have a gun, but I’ll ask.